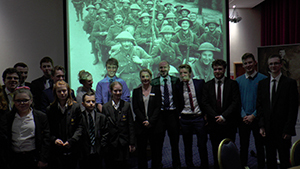 Kent Hub Schools: Abbey School, Herne Bay High School, High Weald Academy, Oasis Academy, Isle of Sheppey and Thamesview School attended the Gateways to the First World War lecture given by Dr Emma Hanna. The lecture was an important part of the schools’ Peace Fields Project. 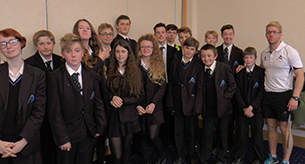 Students will use their notes to help research and compile an exhibition of their work which will be displayed at their respective Peace Field twinning ceremonies in June 2016.